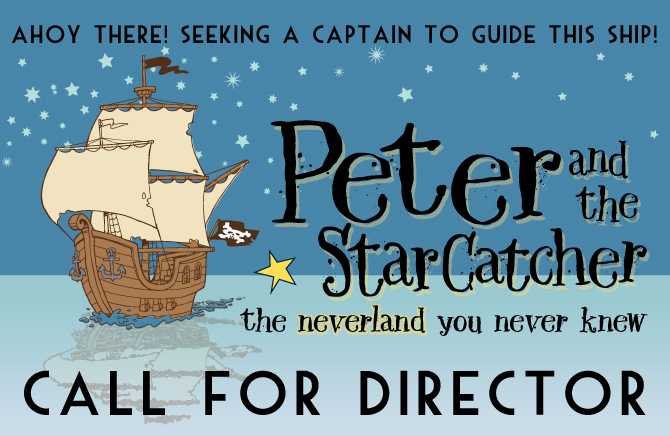 The Theatre Steering Committee is currently accepting applications for a director for the upcoming production of “Peter and the Starcatcher”, sponsored by Murphy-Pitard Jewelers. 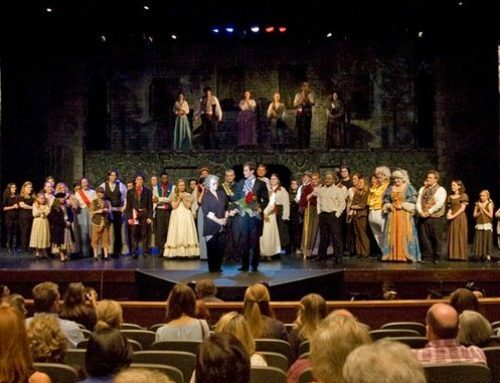 Qualifications for director should include knowledge of working with a community theatre and experience working with all ranges of talent, including beginners. Preference will be given to directors with experience. The deadline for application submissions is August 24, 2018. The production is scheduled for November 1-6, with auditions on September 17-18. Applicants should submit a letter of introduction, brief production plan, and a short resume. SAAC’s salary schedule is competitive and will be set according to experience. Lodging can also be provided if necessary. There are also opportunities for visiting artists to teach workshops and classes. The Tony-award winning “Peter and the Starcatcher” follows the century-old story of how a miserable orphan comes to be “The Boy Who Would Not Grow Up” (a.k.a. Peter Pan). From marauding pirates and jungle tyrants to unwilling comrades and unlikely heroes, “Peter and the Starcatcher” playfully explores the depths of greed and despair and the bonds of friendship, duty and love. Featuring a dozen actors portraying more than 100 unforgettable characters, “Peter and the Starcatcher” uses ingenious stagecraft and the limitless possibilities of imagination to bring the story to life From the books by Dave Barry and Ridley Pearson, adapted for the stage by directors Roger Rees and Alex Timbers and written for the stage by Rick Elise with music by Wayne Barker. SAAC is a complete visual and performing arts center that includes three gallery spaces, a ballet studio, a 204-seat theater, a scene and costume shop, classrooms, music room and offices, all of which provide AIE residencies, monthly gallery exhibits, community theatre productions, classes in visual arts, ballet, photography, drama, and music for people of all ages, as well as people with special needs. All applications should be sent to SAAC, 110 East 5th Street, El Dorado, AR 71730, ATTN: Executive Director or emailed to Laura Allen at laura@saac-arts.org. Application deadline is August 24, 2018. For more information, contact the SAAC office at 862-5474.